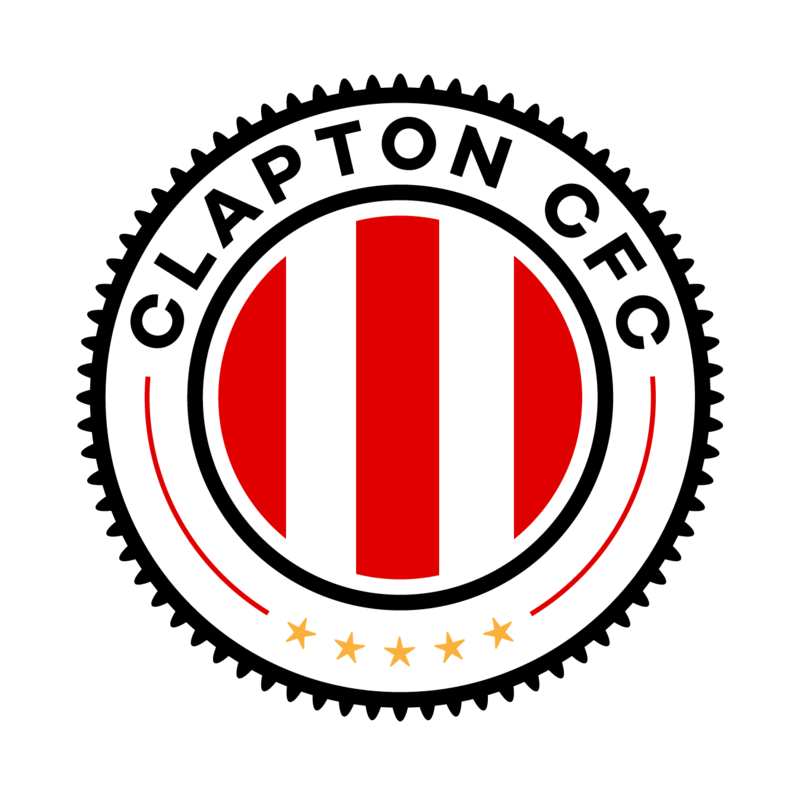 Clapton Community FC staged a fine second half comeback to get the league season up and running with three points – but it was mighty close. Player-manager Geoff Ocran selected a familiar looking side that had bonded over the long pre-season. Two names missing, however, were goalkeeper Vlad Bendovskyy and forward Bogdan Panescu, whose international clearance have yet to arrive. 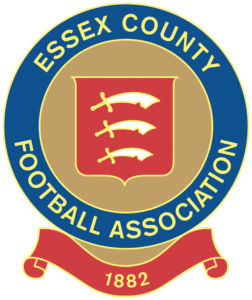 Clapton played in their much-discussed away shirt to with Ealing Town playing in yellow and black stripes. The first half had barely got going before it was paused for 15 minutes due to a serious injury to The Eagles’ number 11, Omar Mouajal. At first, word spread of a broken arm but when the ambulance arrived it had been fortunately been clarified as a dislocated elbow. 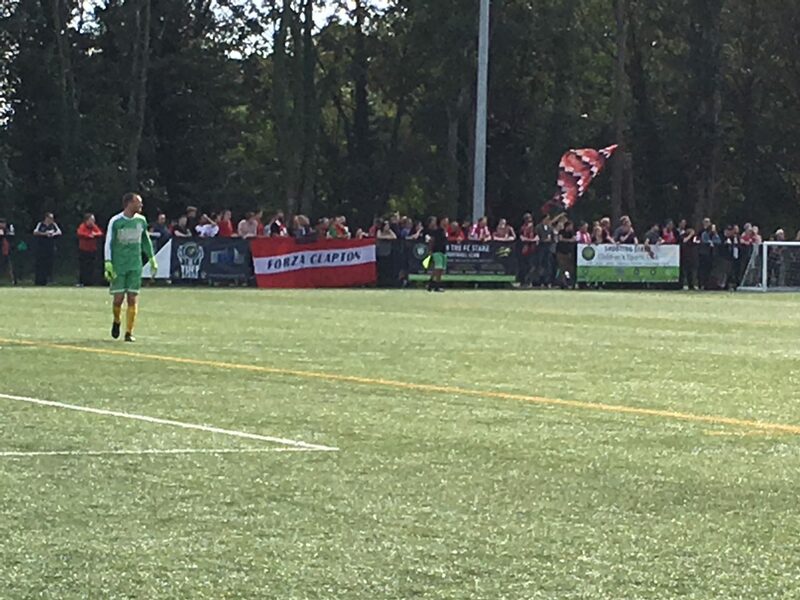 The visiting fans’ nerves were jangling as even first half wore on, with good chances going begging at both ends. Then Ealing Town broke the deadlock with a near post in-swinging corner that went straight in. 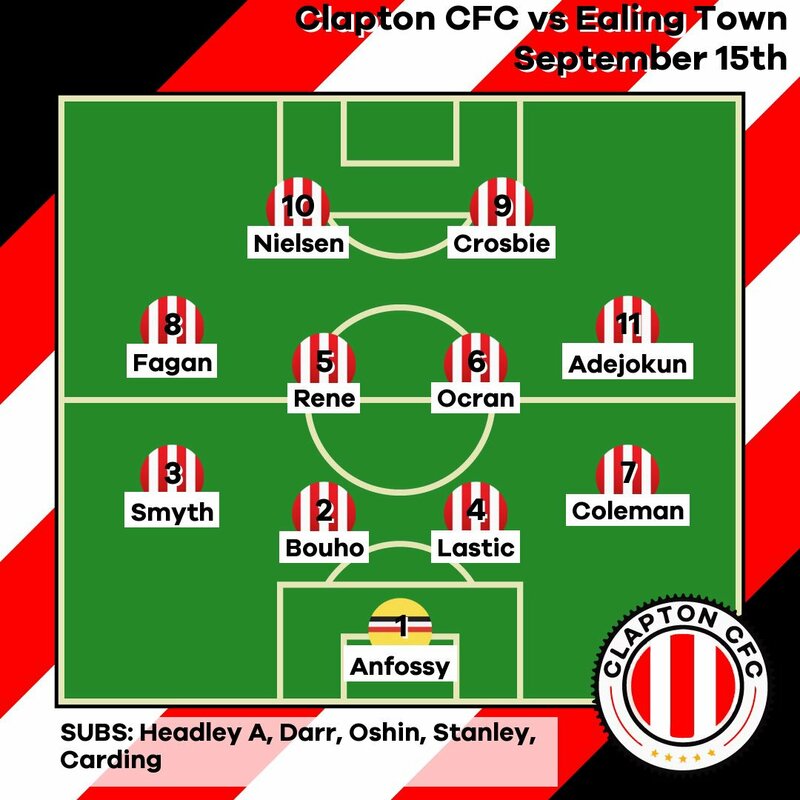 Half-time, 1-0 to Ealing Town, and Ocran decided to shuffle his pack, including the vastly experienced Sherwin Stanley and Paul Oshin coming off the bench. And within 5 minutes the game had turned on its head. First, left-back Liam Smyth capped an impressive performance with a rifling shot through a crowded area. Then a floated free-kick from Stefan Nielsen ended up bundled in by Oshin from close range. The second half played out in much the same way as the first – chances at both ends, plenty of saves and crosses plucked out of the air from Tons keeper Dan Anfossy. One standout moment saw Ocran make a run from the half-way line into the box, with a lightning turn of speed, but couldn’t get the shot away to wrap up the win. Then finally, at 5.15pm due to injury time, the sweet relief of the full-time whistle. Cue pandemonium among the fans and the usual celebrations with the equally jubilant players. The Tons start their league campaign with an excellent away win thanks to goals from Smyth and Oshin. 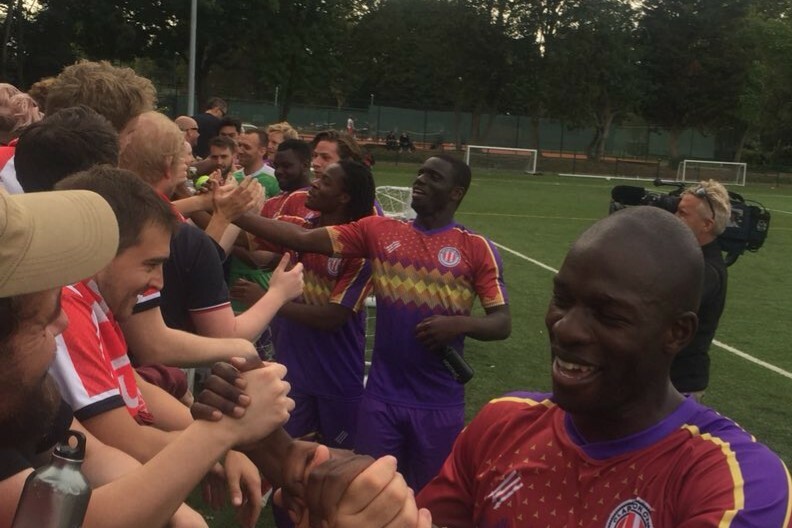 After the match, we spoke to Ocran, Oshin, and assistant manager Stuart Purcell about the fine comeback win. Smyth was voted the fans’ man of the match – but winger Joshua Adejokun ran him close.